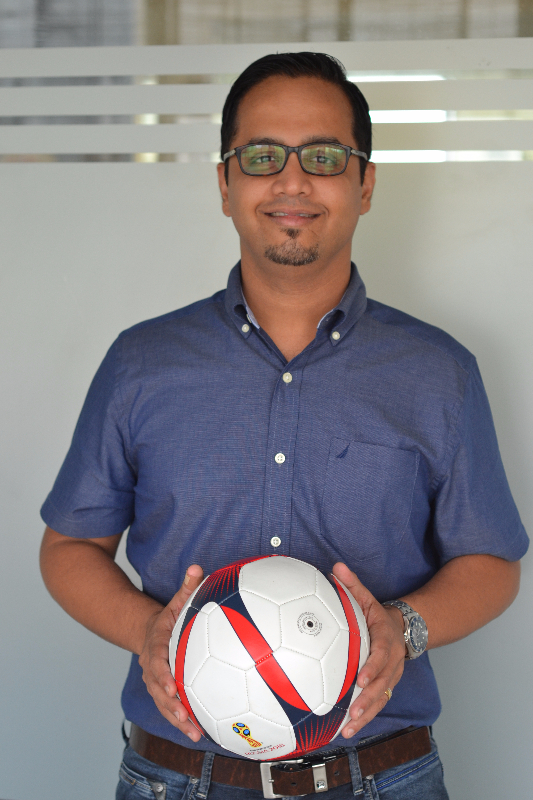 Our COO Jibi George is a HUGE sports enthusiast. So, when we wanted to feature an article about the business of sports licensing, he was more than happy to share his views on the same. Read on and find out what he has to say about the growth of this fascinating business opportunity which is gathering momentum by the day. 1 – India is a one sport nation: cricket. Why then is there not been a potent licensing program around cricket and what is your view on sports licensing in India? – India until the early 2000s was a single sport following nation, Cricket connected with all forms and the advent of C&S, & brilliant commercialization by the cricket authorities got more masses to the viewing stable With C&S penetration other sports including football, tennis amongst others got prominence. Football caught the eye of the young ones with an unparalleled and the aspiration quotient. Football is a shorter format, fast paced, intense athleticism kind of sport. Consequently the EPL caught the imagination of the kids and left a lasting impression. “Sports Viewing is huge, sports licensing is nascent & virtually untapped” Licensed product is negligible compared to the parallel product that is available The sheer size of sports licensing business &opportunity primarily cricket can be gauged by the amount of parallel products of IPL team jerseys, Indian cricket jerseys & fashion tops that sell on the streets. The fact that a customer’s on the street aren’t ready to buy it at a price is testimony to the fact that Cricket as an enterprise has not managed to build in aspiration – its followed in numbers (TV viewing) but not bought as a product in numbers (Authentic Merchandise) Football on the other hand is niche, but has a strong brand recall in terms of clubs, as a sport, hero -worship for their skills and the viewer aspires to follow their fashion sensibilities & the aura as well. This aspect is almost absent with other sports & merchandise in India, except may be a few cases of individual brilliance like a RF or a Nadal in tennis. The sport appeals per se and the stars have a huge charm and aspiration for them to be aped on attire, grooming and lifestyle as a whole. Surprisingly the amount of unauthorized jerseys and club merchandise sold unofficially is huge & a constant in the 30-40 cities in India. 2 – Why has Dream Theatre chosen football and what has been brands and licensing program? – We looked at the landscape of licensing with the above insights in mind and quickly resolved that football was the one we need to latch on to early, we have a few companies that are following us on this trend now. FIFA was the marquee acquisition and we were privileged to work on the 2014 WC in RIO, it opened our eyes to the potential on merchandise that is football. We had a limited program for the RIO world cup, but what it delivered on demand was unprecedented & gave us wings to look at other avenues, we quickly moved onto working with the Adidas group on Real Madrid FC & now been associated for the last 4 years with the club to develop the range of merchandise with local partners. We have had success on counts of soft line and now we are venturing into a few tie-ins that will bring the brand into a much broader limelight. 3 – FIFA U-17 world cup happens in India. What is Dream Theatre’s Strategy? – Firstly, it’s a privilege to work on a program that is going to impact our country in more ways than one. The GOI is backing it to the hilt & the sports ministry has been supportive of all the endeavors. We are nominated by FIFA to build a first of its kind local merchandise program for a sports event of this scale. We at Dream Theatre are launching a range of products including Apparel, Gifts and Novelties, Sporting goods and accessories for Mass distribution, online ecommerce players &in- stadium for the 25 days event in 6 cities. We are building uniformity from a look and feel and ensuring that the fans can connect with the event on a national level. – We believe it will be a case study in L&M programs in India as it has never been attempted with the last bunch of world events that has happened in the country. No other program where India has been the host country has seen and planned a licensed product roll out across mass distribution, organized retail & In-stadium for fan engagement. 5 – Do you believe this will benefit programs like the ISL? – Yes, it will become the format & template for franchise clubs to follow, the same will have to be backed up by branding and city engagement to build resonance like the EPL, LA Liga clubs BTW: the LA aiga (Spanish football association) has an office in India since the last year to build on the football association for fans with Spanish clubs beyond Real Madrid & Barcelona. 6 – The World cup happens summer next year in Russia- will the same U-17 licensee/retailer rollout into next years event? 7 – Every possible retailer/brands will be sporting country colors to leverage the worlds biggest porting event. How will the FIFA program be unique? – The WC logo and the unit for the event is unique and marketed across multiple formats and touch points. First the visibility starts with the WC qualifiers and packaging of the same is around the WC logo and the derivatives across all mediums one can envisage. This program is built with news and action on the field for a period of 18 month until the WC games kick in June 2018. So when the association in the fans mind is much stronger and aspirational with the WC logo and the FIFA branding, the product becomes the definitive fan merchandise and assumes pole position in the minds of consumers. The same is also tracked via price points and unique propositions on FIFA marketing & global sponsor marketing initiatives for the products to be elevated another level in terms of positioning.